Submitted by Black Rider on 2013-08-17 07:35. 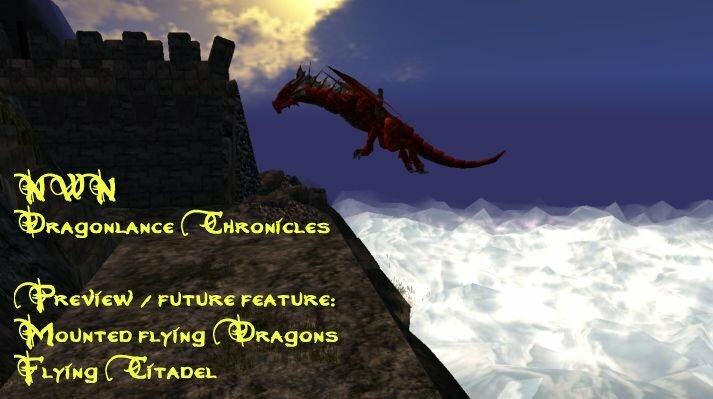 We try to catch the looks & atmosphere of the Dragonlance Chronicles as it was created by Margaret Weiss, Tracy Hickman, the Pen and Paper Modules, and other sources published by TSR and Wizards of the Coast. 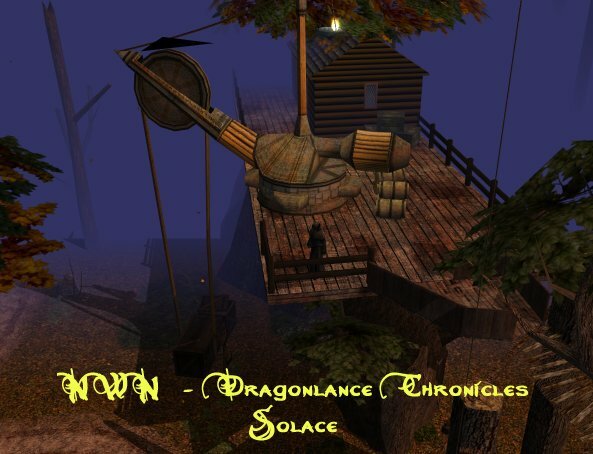 Also do we try to stay close to the original layout of Krynn using the "Atlas of the Dragonlance World" by K. W. Fonstad, so players can search out Dragonlance places (eg. Skullcap and many more) pretty easy by following those maps. We encourage exploring, so much of the world can be seen even with a low level character! Just stick to the roads and paths. 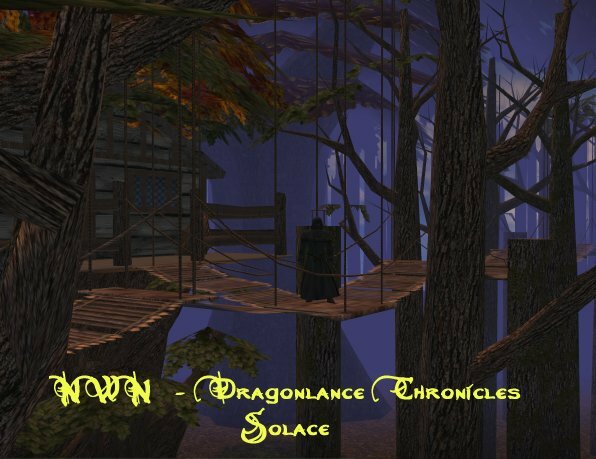 - A Solace with walkable bridges between the Vallenwood trees and the ground level in the same area. 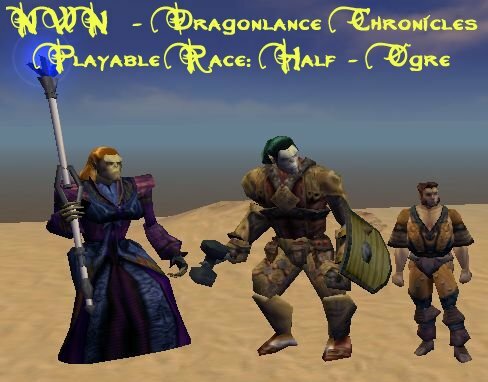 - Custom Krynn PC Races: Half-Ogre, Minotaur and Draconians (all armor-able and customizable). 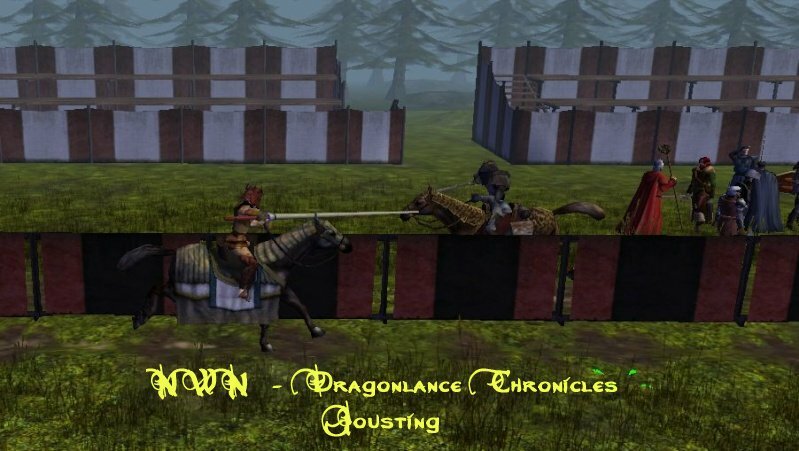 - Rewarding Jousting System (ATM only versus NPCs). 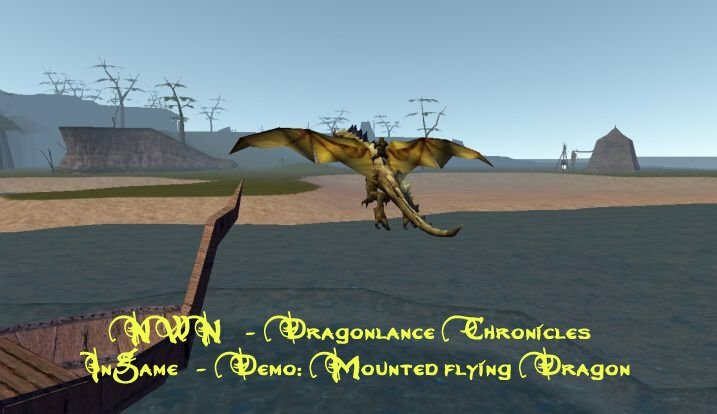 - Demo of a mounted dragon flight. 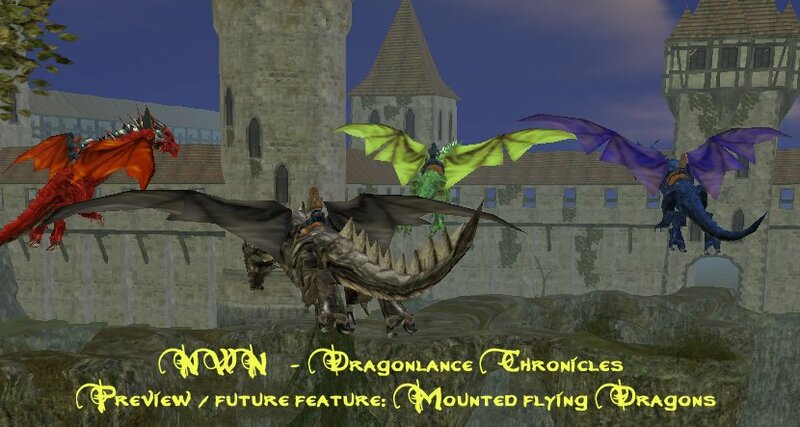 Future plan is to make the typical dragons available to players. The models are already done (see screenshots)! To achieve this, we are using quite a bit of custom contend, thus there is quiet a bit to download. Thanks to all CC creators out there! Without their creations (and support eg. via mail), this would not have been possible! 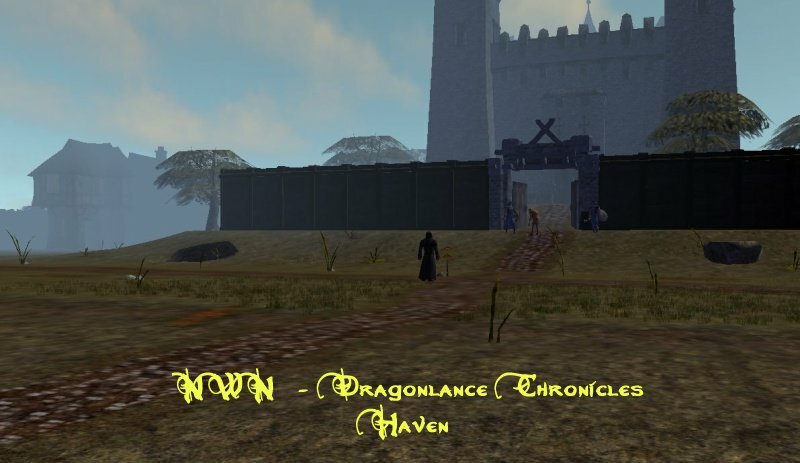 See links at the bottom to download the DLCR-HAKs from neverwintervault.org (= here)! It contains all up to the April 2015 update and some custom additions. Added Grass terrain to have an alternative edge. Also accordingly 4 feature variations. Most of them have a leaf-WOK layed out as a cross, so these parts can be used for eg. placeable roads (with no grass rendered). Renamed the ship models, so there will be no texture conflict with other tilesets. Zwerkules Mountains and more tileset (V4 Okt. 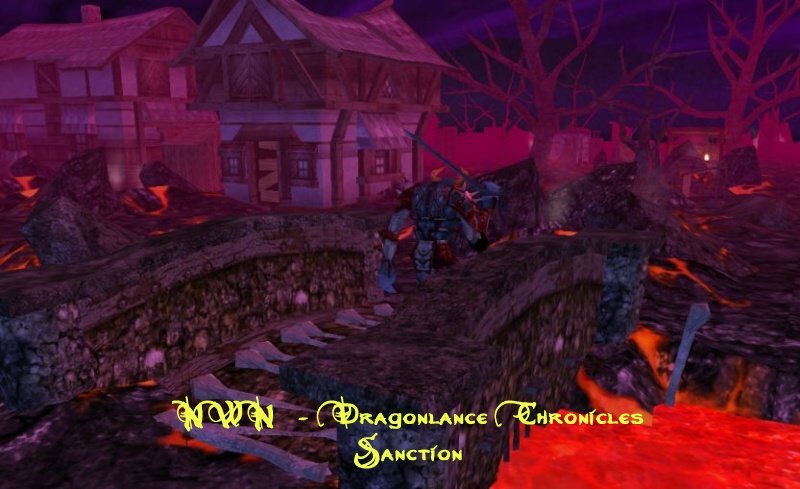 2014 - includes the minimap fix of Feb. 2015). Uses the free postermap of Krynn and one simple hand worked (textless) version. The models are worked into the Zwerkules tilesets "Medieval City" and "Mountains and more"
For more details, see the info document within the HAKs. Finally added the original vault descriptions. The tile-info contains the links to the original content. 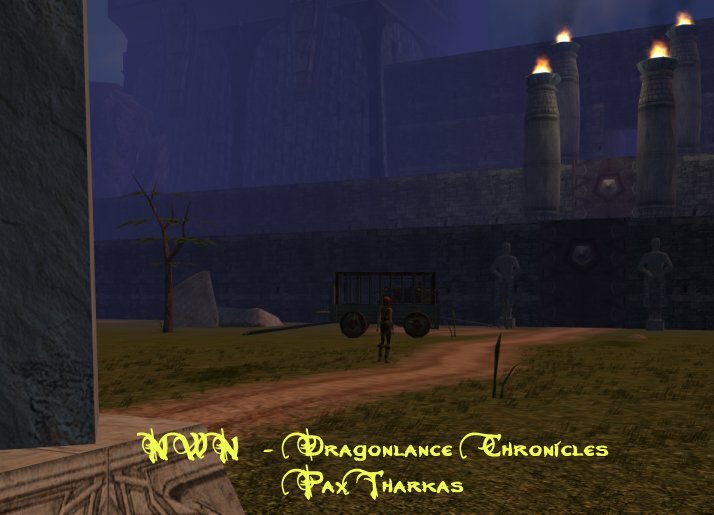 Further: Within the HAKs, there is also an info-file, which partly contains even more details. Please pay attention, that you DON'T download wrm_underseaPold.zip. You NEED wrm_undersea.rar! 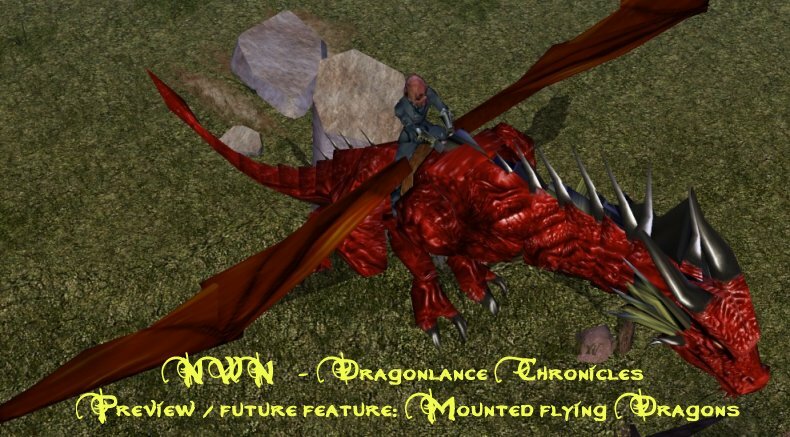 For those of us that have loved and role-played our way across the years on various incarnations of NWN Dragonlance Persistent Worlds (yours truely is vying for title of uber-DL-geek) including War of the Lance, Rise of Honor, and the original Dragonlance Chronicles On-line (of course there are many many more) I know you'll be impressed with the attention to detail that went into DLCR! 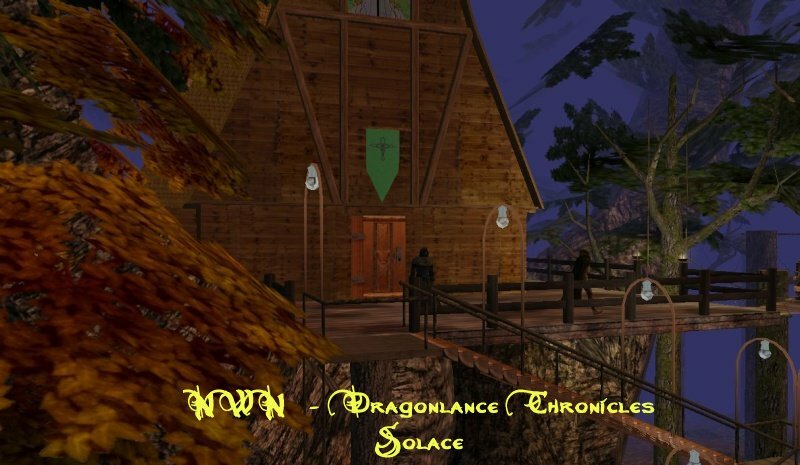 Starting from your first view from the town square of Solace to the view from Prayers-Eye Peak to a ride on Dragon-back you'll be transported to Krynn! We do have a solid player-base building up, and now that the mod is hosted 24/7 (by your humble host - DM Puff D - that's me!) we do expect our numbers to go up. 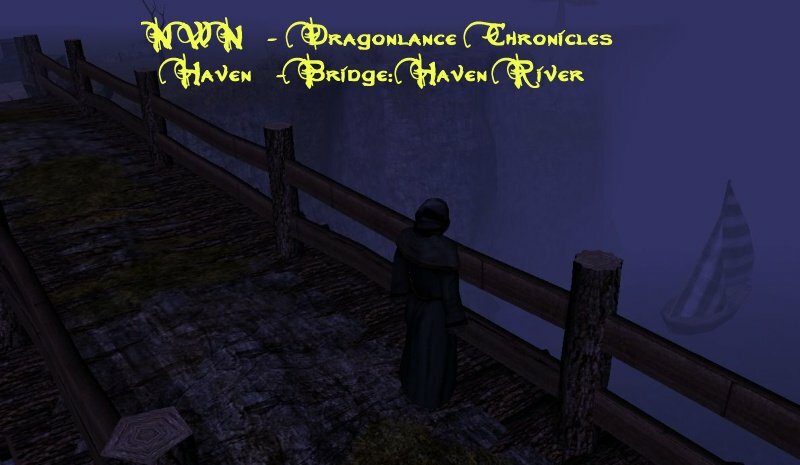 Whether you are more inclined to advance the Dragon Army side, the Whitestone Armies, the esoteric Tower of High Sorcery or the secretive Guild of Thieves it does not matter! The world is waiting to for your character. 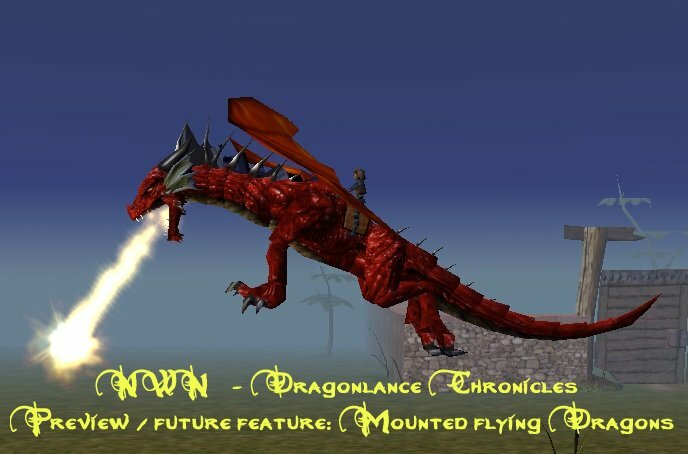 If you are interested in becoming a player in the world of Krynn just download the haks above, create a character and and have a look around. We have a vibrant forum for your feedback so feel free to comment. Get to know us - we're a friendly bunch. Version 1.40B of the module is currently active (Nov 20 2014) and we tend to have a new version up about every month or so.... so even if you logged in before please log in again and see what has changed! Are there any quests built into the game? One's that don't require DM involvement, I mean. Sorry for the slow reply. I missed this post, because the notification somehow failed. And no, not really. There are a few NPCs, who offer a coin for certain items or small tasks, but they're not designed as "quests" (atm). But we are reworkig the setting and timeline. So, as a result, it might be, that we find the time to integrate some. Thank you for that finding and pointing out the link, Werelynx!